“These blood-sucking parasites spread a dangerous sometimes deadly illness called Chagas disease. The disease, which has spread to the U.S., was previously only found in Central and South America as well as Mexico.” – Centers for Disease Control (CDC). “The United States gives Latin American countries economic assistance and humane treatment to thwart hunger, disaster recovery and other aid. Mexico and Latin America gives the United States criminals, illiterates, racists and deadly diseases. Yet the politicians and news media fail to truthfully cover the subject and paint a totally false picture of the pitfalls of uncontrolled borders and suicidal immigration regulations.” – American Law Enforcement Officers Association (ALEOA). During the national debate regarding illegal immigration, especially from south of the U.S.-Mexico border, the politically-correct news media, the left-wing politicians and those who favor a limited amount of sovereignty are quick to quash any mention of contagious diseases emanating from Latin American countries. According to experts on communicable diseases, Chagas disease, a potentially life-threatening disease caused by the parasite Trypanosoma cruzi, has become a concern in the United States as a result of mass immigration from Latin America where Chagas disease is endemic. The parasite is called “the kissing bug” by first-responders or “disease detectives” at the Centers for Disease Control (CDC) who are monitoring cases of the disease within the United States. 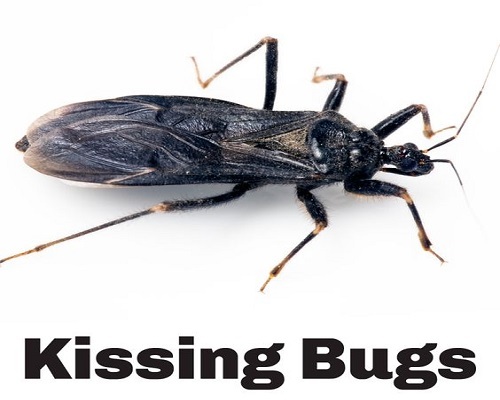 Studies indicate between 50 percent and 64 percent of kissing bugs carry the deadly parasite that causes Chagas, which is considered a major neglected tropical disease, according to the U.S. National Library of Medicine. The World Health Organization estimates that 8 to 10 million people are infected worldwide, mostly in Latin America. It is estimated that as many as 8 million people living in Mexico, and Central and South America have this disease. Most cases of Chagas disease found in the United States are chronic infections, but rare cases of acute congenital infections and autochthonous vector-borne transmission have been reported. It’s believed by researchers at the CDC that this disease kills more than 50,000 people every year. Of the estimated eight to eleven million people living with this disease, it is assumed that most of these people aren’t aware they have it and so it is likely that it could result in death. To understand how data are collected and used, a review of state-level public health surveillance for Chagas disease was conducted through semi-structured interviews with health officials in six states (Arizona, Arkansas, Louisiana, Mississippi Tennessee, and Texas) where Chagas disease is reportable and one (Massachusetts) where it was previously reportable. States implemented surveillance in response to blood donor screening for Chagas disease and to identify how the disease if transmitted. Many states reported primarily chronic cases and had limited ability to respond to local transmission because acute cases were infrequently reported. Surveillance remains important in states with large populations of illegal immigrants or frequent travelers from countries with endemic disease and for states with a risk for local transmission. Surveillance efforts can also help increase awareness among providers and assist in linking patients with Chagas disease to treatment to help prevent cardiac and gastrointestinal complications. Chagas disease can cause a sudden, brief illness (acute), or it may be a long-lasting (chronic) condition. Symptoms range from mild to severe, although many people don’t experience symptoms until they reach the chronic stage. Chagas disease can cause life-threatening heart issues, including heart disease, strokes, arrhythmias and cardiac arrest. About one-third of those infected will develop chronic heart disease, according to the American Hospital Association. Doctors can detect the disease through a simple blood test. If the infection is caught early enough, medications should be able to treat it. “If untreated, infection is lifelong and can be life threatening,” the CDC warns. So far, a total of 11 species of kissing bugs have been spotted in the U.S. — the majority of which are concentrated in states along the U.S.-Mexico border. However, they’ve been documented in at least 28 states across the country, a research team at Texas A&M found. “Previous studies have found that, on average, 50% of kissing bugs are infected with the Chagas parasite,” the Texas researchers wrote on a website that details their extensive studies of the insects.